Ayurveda is a holistic science from India that layers massages, natural medicine, nutritional advice and yoga techniques to preserve wellbeing, delay the signs of ageing and treat illness the natural way. It is a system based on the principle that your body is an individual combination of 5 elements (space, air, fire, water and earth) that weave together to create your unique constitution. When your constitution is in balance health is maintained. However, when imbalances occur, discomforts, diseases and premature ageing follow. During your first visit, a brief medical history will be taken and your constitution will be established using the ancient art of pulse reading. Your Ayurvedic massages and treatments will be tailor-made to your individual needs and designed to maintain health, restore balance and promote a healthy, younger looking body. 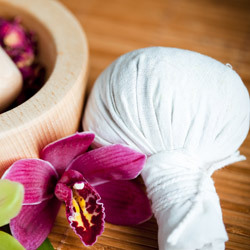 For the ultimate health package, we recommend a full Ayurvedic consultation. A consultation provides an in-depth analysis of your health and lifestyle issues and enables us to tailor a complete Ayurvedic programme for a life changing experience. Your health programme will include a complimentary detox pack, nutritional and lifestyle advice, and if appropriate we will recommend herbal remedies. Book a consultation for the ultimate Ayurvedic experience. Free consultation when you book a course of 5 treatments. Bespoke Ayurvedic therapies that focus on reducing anxiety and restoring peace of mind. We recommend an Ayurvedic Consultation prior to treatments. 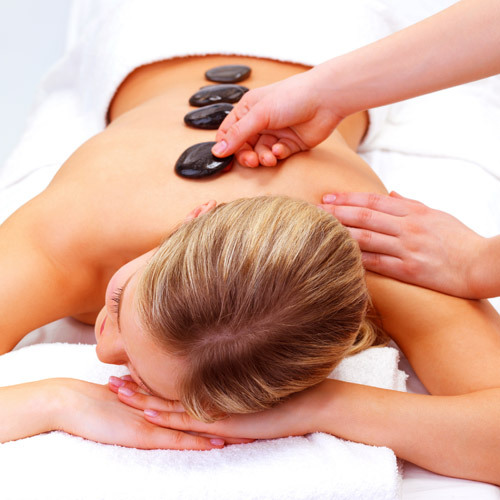 Book a course of 5 treatments and receive 10% off & a free consultation. Garden of Pomegranates has perfected the art of back care with these treatments inspired by 5,000 years of Eastern wisdom. We recommend an Ayurvedic Consultation prior to treatments. Garden of Pomegranates has perfected the art of bone & joint care with these treatments specifically designed to relieve stiff joints, pain and swelling. We recommend an Ayurvedic Consultation prior to treatments. Garden of Pomegranates has perfected the art of digestive care with these treatments inspired by 5,000 years of Eastern wisdom. We recommend an Ayurvedic Consultation prior to treatments. Bespoke weight loss treatments that focus on reducing weight and restoring balance while preserving the elasticity of the skin. We recommend an Ayurvedic Consultation prior to treatments. Bespoke Ayurvedic therapies that focus on providing relief from headaches & migraines and preventing further occurrences. We recommend an Ayurvedic Consultation prior to treatments. Garden of Pomegranates has perfected the art of sleep care with these treatments that focus on reducing stress and restoring sleep. We recommend an Ayurvedic Consultation prior to treatments. Indulge in the warm and enveloping atmosphere of the Garden of Pomegranates where our luxurious treatments leave you feeling refreshed and gleaming with tranquility. We recommend an Ayurvedic Consultation prior to treatments.